Location: I got properties on Earth, OA, Odym, Ysmault, Korugar, Daxam, and Qward. If not selling why put this in the BST section???? Never in my wildest dreams did I ever think I would EVER own such a rare set of collectables!!! And here I have the rarest of the rare!!! A complete matched numbered set of Green Lantern FX96 rings! Each ring is the #1 of the set! Brass is #1 of 150!!!! I also have one of the prototype rings for a really complete set! I had to share with you guys here too cause I am utterly speechless and want to share my happiness!! I just wish I could post bigger pictures!! ha, Bob I like that kind of thinking. I HAVE heard of them though. It's pretty cool, but I'm wondering why it was posted here as well. What are they? Where'd they come from? 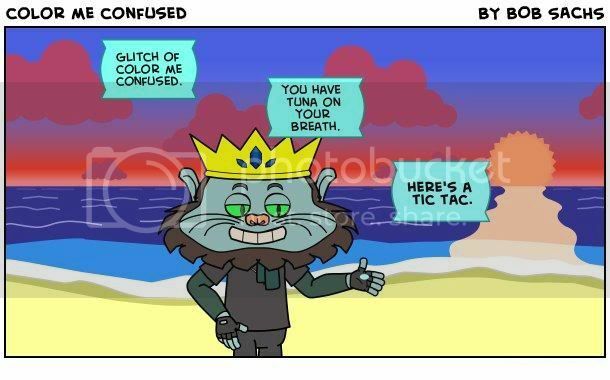 Color me confused. You must not be a collector. These are one of the hardest ones to get. Wow! I was wrong. They do indeed exist. After looking at several of those collectors items, I realized that I may have something rare too though. 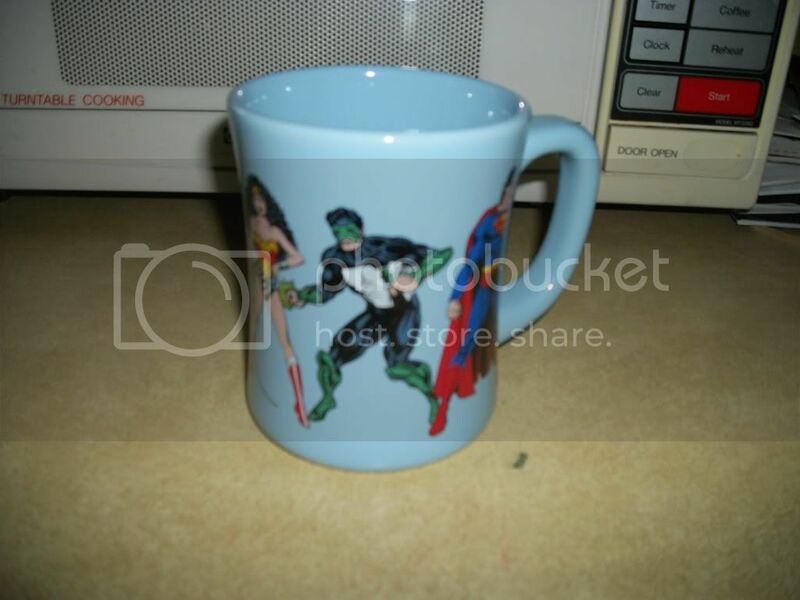 It's a large coffee mug from the WB store, featuring Batman, Flash, Aquaman, Wonder Woman, Green Lantern (Kyle), and hippie Superman. 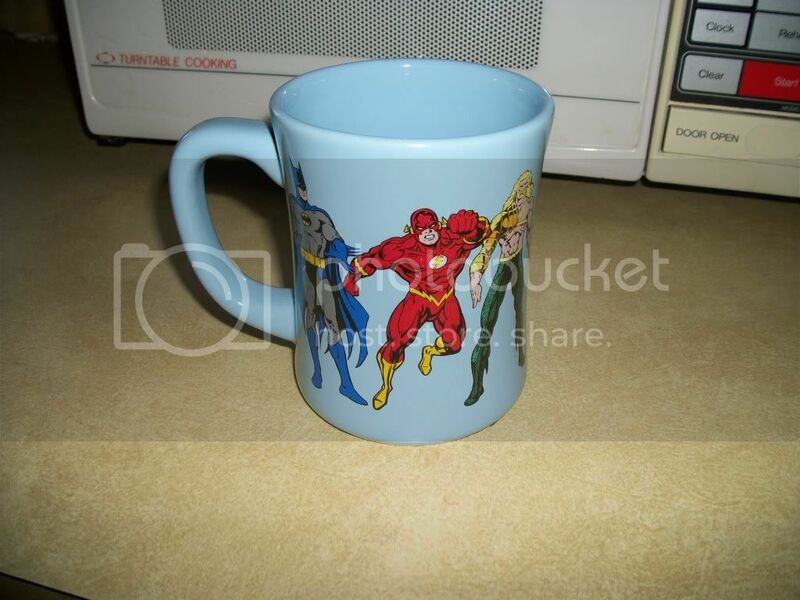 Not sure why the first image came out distorted, but the mug is in excellent shape, and not blurry.